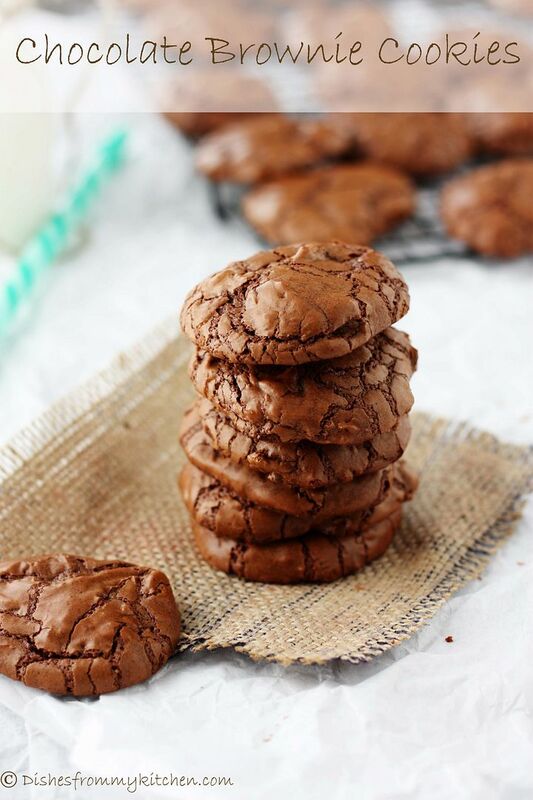 Dishesfrommykitchen: CHOCOLATE BROWNIE COOKIES - SUPER ADDICTIVE ! 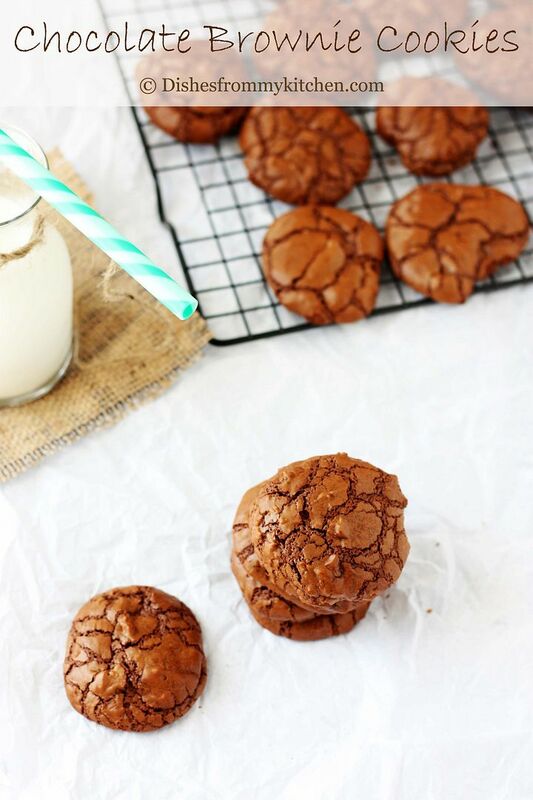 CHOCOLATE BROWNIE COOKIES - SUPER ADDICTIVE ! 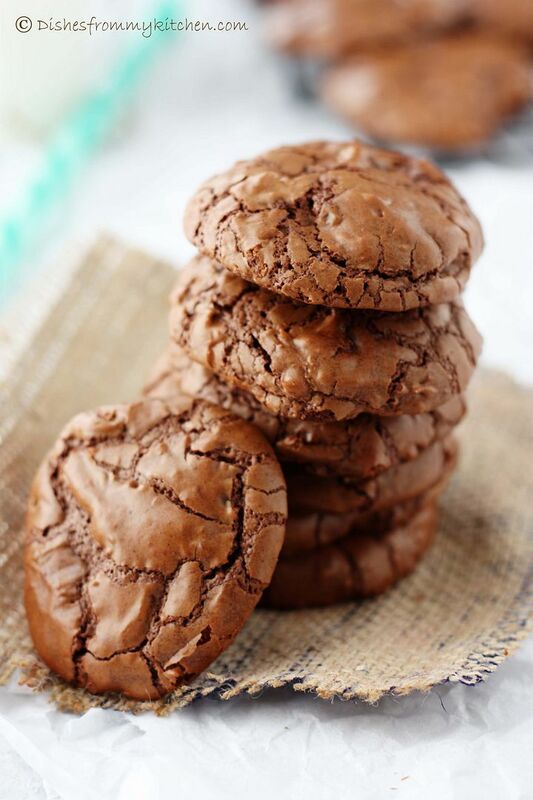 Chocolate brownie cookie is absolutely easy and very addictive cookies. 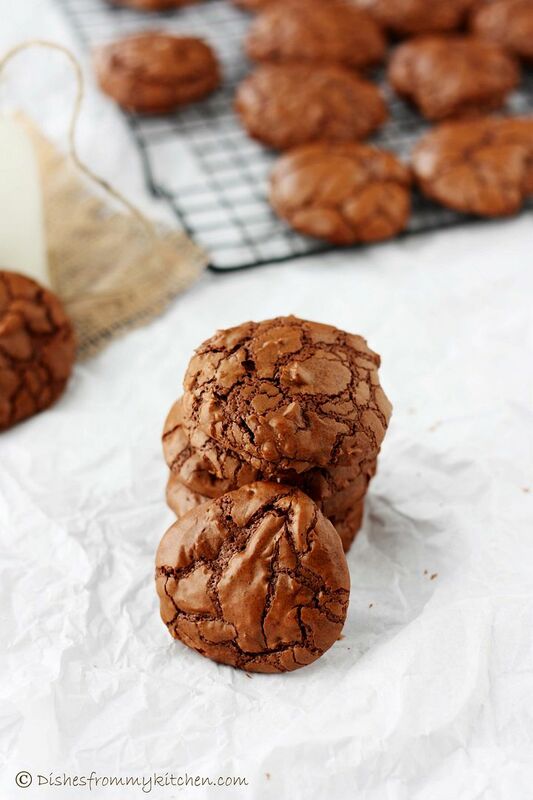 These cookies are soft, chewy has fudgy center with crisp exterior. Do try it out you will surely fall in love with it. 2. In a small bowl whisk together the flour, baking powder, and salt. 3. In the bowl of an electric mixer, briefly whip the eggs to break them up. 4. Add the sugar, espresso, and vanilla and beat on high speed for 15 minutes, until thick. 5. While the eggs are whipping, place the butter and chopped bittersweet chocolate on top of a double boiler. Heat until the butter and chocolate melts. Remove the boiler top from over the water and stir the chocolate and butter until smooth. 6. 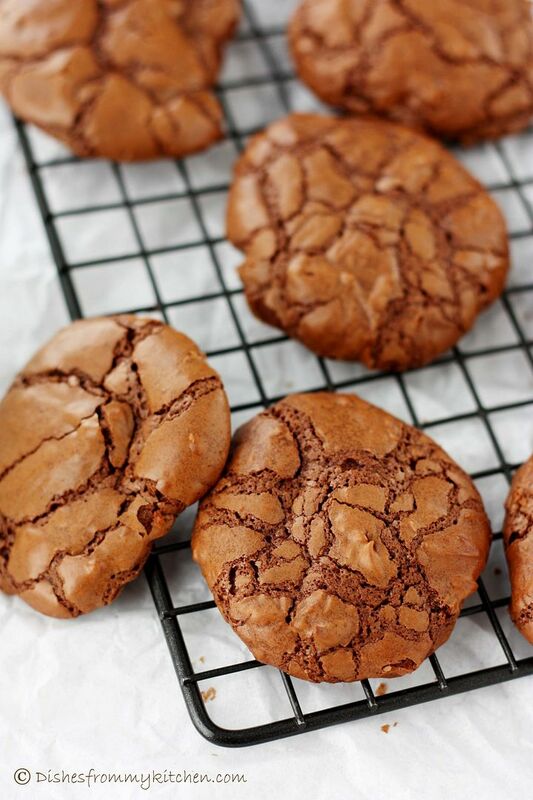 Gently fold the chocolate mixture into the egg mixture until partially combined (there should still be some streaks). 7. Add the flour mixture to the batter and carefully fold it in. 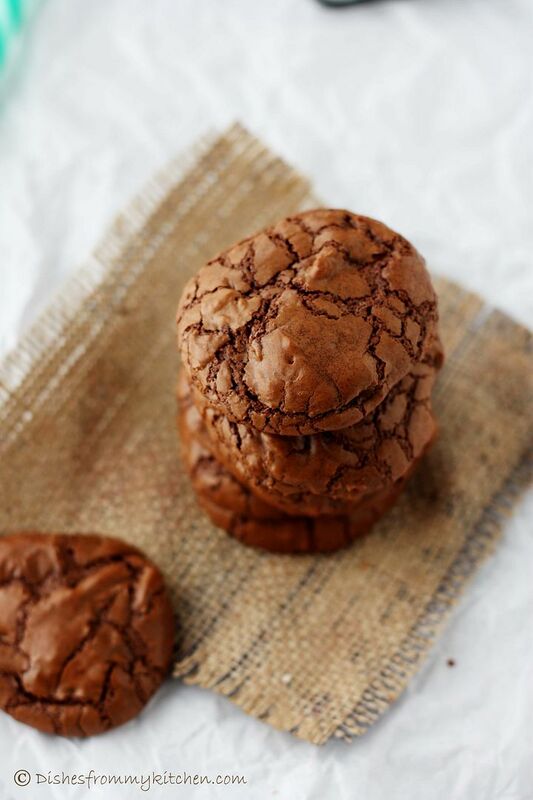 Fold in the mini chocolate chips. 8. If the batter is very runny, let it rest until it thickens slightly, about 5 minutes. 9. Drop the batter by heaping teaspoonfuls onto the prepared baking sheets and bake until puffed and cracked, 8 to 9 minutes. 10. Cool on a wire rack before removing from the baking sheets. You can substitute 1/2 cup chopped toasted nuts, dried sour cherries or pepper mint candy for an equal amount of the chocolate chips OR 1/4 cup of nuts, cherries or crushed mint candy and 1/4 cup of Mini chocolate chips. they are mocking me ....:( that i can see them and not eat them !! fantabulous ! Wow! 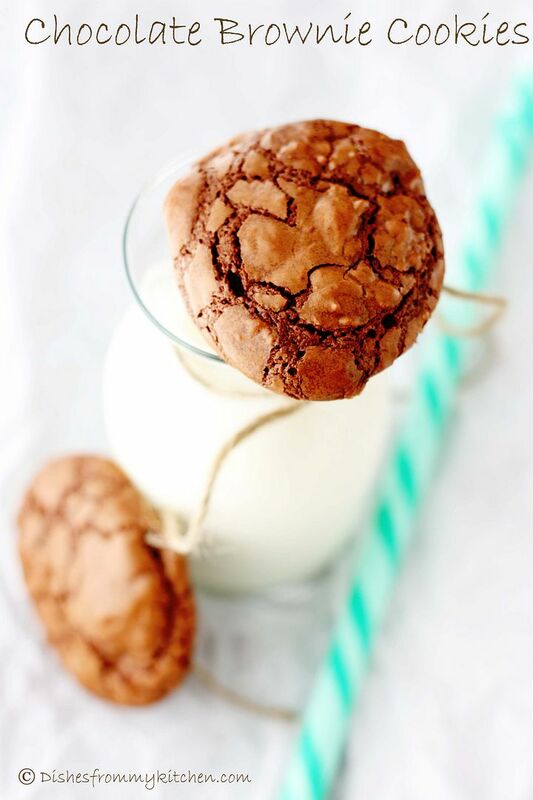 That looks so sinfully delicious! Henu No never tried this without eggs.. I am not sure about the eggless version. Mmmm.. that's gooey molten deliciousness! wow! 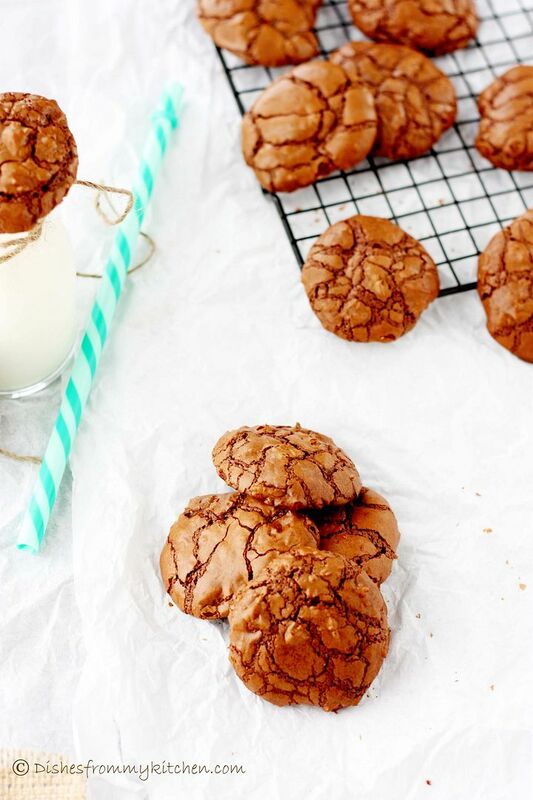 these look super yummy too! 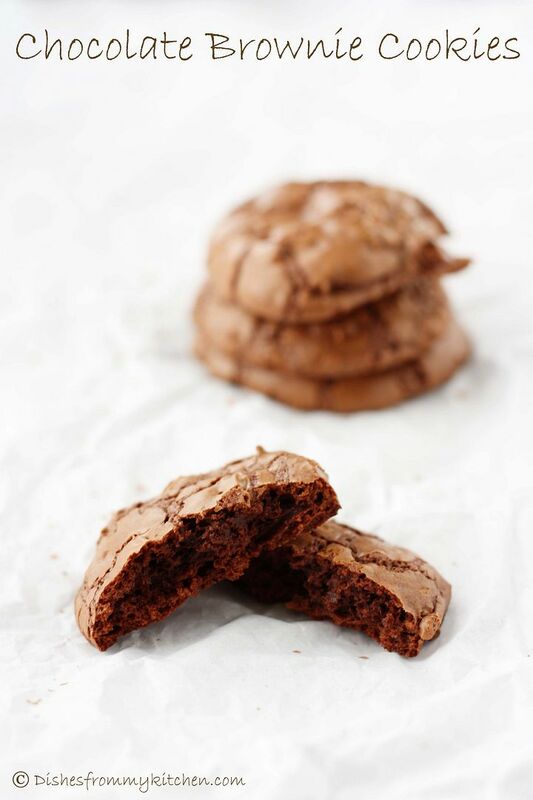 Addictive is right...your chocolate brownie cookies were disappear fast on our home. Great photos! 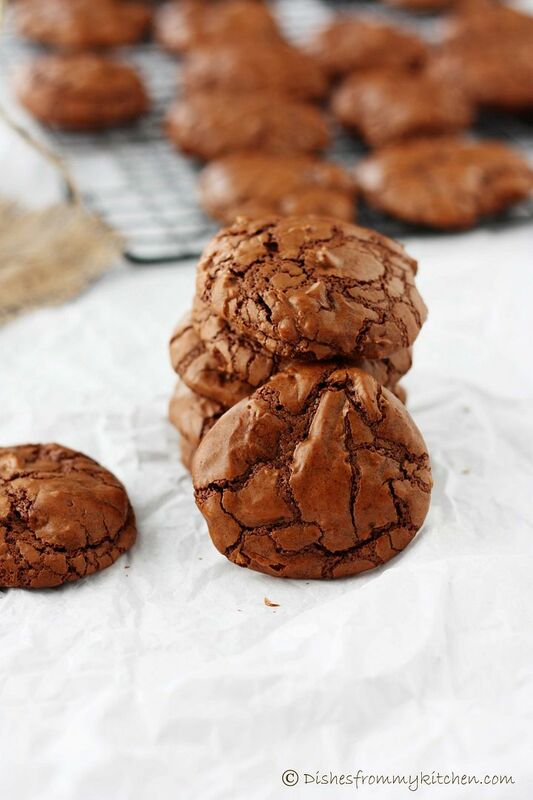 Lovely looking cookies...in the recipe 1 cup measures 200gms?